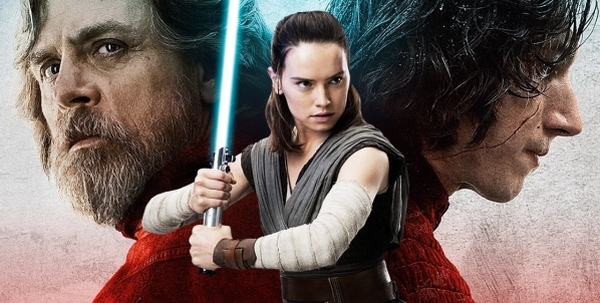 While Star Wars: The Last Jedi has divided fans it's a box office hit. This past weekend it pulled in an additional $52.4 million to reach a grand total of $533 million domestically. This beats out the $504 million "Beauty and the Beast" (2017) earned as well as "Wonder Woman's" $412 million. By comparison, The Force Awakens (2015) made a total of $936 million in the US, so we'll see if The Last Jedi can top that total when it ends it's run. The movie also held onto the #1 spot for the third week in a row although the ticket sales did dip 18-21% over the three day weekend. That brings the final worldwide box office total to over $1.05 billion. "Beauty and the Beast" (2017) is still the highest grossing movie of 2017 at $1.26 billion. Disney is killing at the box office domestically since four of the 10 highest grossing films in the US are released by Disney. Thanks to "Guardians of the Galaxy Vol. 2's" $389 million, "Spider-Man: Homecoming's" $334 million and "Thor: Ragnarok's" $311 million the studio is swimming in cash. "In Lucasfilm's 'Star Wars: The Last Jedi', the Skywalker saga continues as the heroes of 'The Force Awakens' join the galactic legends in an epic adventure that unlocks age-old mysteries of the Force and shocking revelations of the past." Check back for more Star Wars: The Last Jedi movie news, trailers, posters, and hype!